TurboTax is discontinuing its experimental cloud storage option for desktop customers. Are you a TurboTax CD user who stores your tax returns online? Better download your files quick before TurboTax deletes them. Intuit (INTU), the maker of TurboTax, Quicken, Mint and other personal finance tech products, has announced that it is discontinuing its experimental cloud storage option for desktop customers. 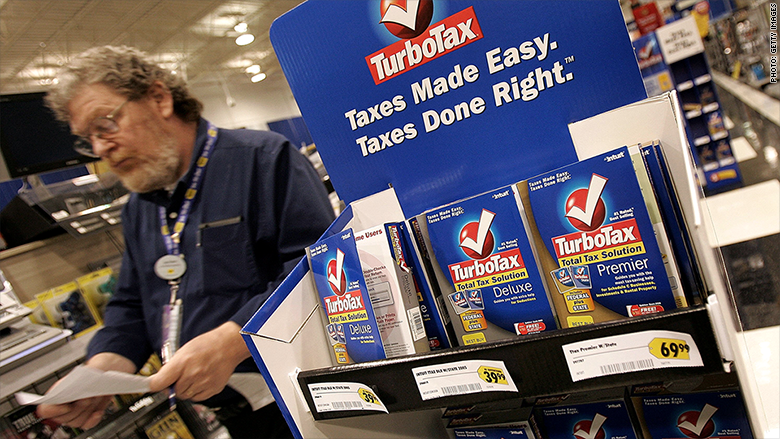 Those customers, who ran TurboTax 2014 from a CD, have until Tuesday to retrieve their tax files from TurboTax's servers. The change does not affect the 80% of customers who use TurboTax's Web-based products. And people who buy the Web-based TurboTax Plus, Deluxe, Premier and Home & Business products will continue to get cloud backup storage for their prior year's returns, which was included with their purchase. TurboTax said it introduced its "Backup to Cloud" service earlier this year for a "limited group of Windows and Macintosh customers." But even those few customers probably don't need to worry: TurboTax 2014 saved their tax files to their computers by default. Customers needed to actively choose to back up their tax returns to the cloud. It's unclear how many customers the change affects. A spokesman for Intuit did not immediately respond to a request for comment. "We will be taking time to learn about how the service was used or not used," the company said in a post on its website. "This will help us understand if and how we may offer the service in future products." To download your tax files from TurboTax's cloud storage, open the TurboTax software and select File, then Open from TurboTax Cloud. After signing in, open the files and save them to your computer. If customers miss the July 21 deadline, they'll have to ask the IRS for a copy of their return. A transcript, which shows most lines from your 1040, is free. But an exact copy costs $50.